Books, Art and Ephemera - Genealogy, Ephemera, Kane, etc. Auction Description for National Book Auctions: Books, Art and Ephemera - Genealogy, Ephemera, Kane, etc. In addition to bidding over the Invaluable and eBay platforms, absentee and phone bidding is available by contacting National Book Auctions directly either by email at mail@nationalbookauctions.com or calling 1-607-269-0101. Preview open from 10:00am until noon on auction day, or by appointment. Our gallery is located at 1429 Danby Road (Route 96B) in Ithaca, NY, 14850. This catalog features rare, antique and decorative books as well as select additions of ephemera and artwork. Interesting collections include a large library of American genealogical reference and a private collection of modern first editions with important signatures. Another estate delivered a sizable collection of ephemera including lithographs and engravings dating back to the 18th century. Also offering a private collection of original artwork and signed proofs created by legendary illustrator and designer, Harry Kane. Antique and rare books feature numerous titles. Among the earliest examples are Ford's 1869 "Handbook for Travellers in Spain," in two volumes with fold-out maps, the scarce 1877 first American edition of Dickens' "Is She a Wife?," and the 1884 deluxe edition of Poe's "The Raven," illustrated by Gustave Dore. Other scarce titles include the 1863 Civil War printing of "U. S. Infantry and Rifle Tactics," with fold-out plates, Wilkinson's 1854 "Popular Account of the Ancient Egyptians," in two volumes with a fold-out map, and an author-signed copy of the 1928 first edition of Casey's "Baghdad and Points East" with photographic plates and cased in a decorative binding. Several pleasing collections will also be featured. Included is a large private library of approximately 950 genealogical titles relating to the northeast United States including subjects such as colonies, Mayflower ancestry and much more. Another estate library being offered includes a quantity of modern first editions, many featuring important author signatures. This collection belonged to Leroy Truman Goble who was a minor figure in the Chicago literary renaissance of the 1920's, and was well acquainted with the likes of Sherwood Anderson and Ben Hecht. 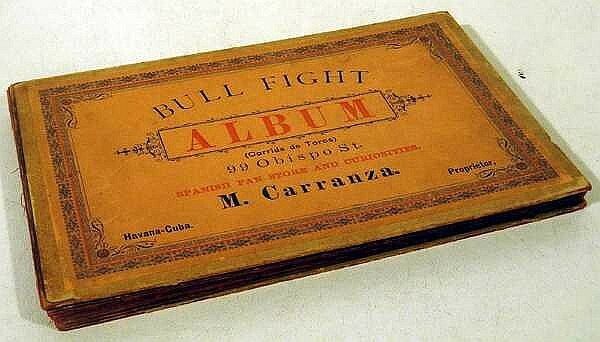 Additional collections feature bullfighting history, decorative antique bindings, bound magazine compilations (including Civil War year issues), travel & exploration, Masonic, railroad, early Americana, cartography, art history, and much more. Found throughout this catalog are interesting offerings of collectibles, artwork and ephemera. The ephemera lots offer a large selection of prints and artwork as well as antique engravings and lithographs, many of which are hand-tinted, and original Victorian chromolithographs. Other ephemera offerings include early maps, railroad-related, antique magazines, valentines, sheet music, travel, original antique correspondence, antique photographs, and other genres. 1. In addition to bidding over the online platform, absentee and phone bidding is available by contacting National Book Auctions directly either by email at mail@nationalbookauctions.com or calling 1-607-269-0101. Phone bids open at a minimum of $200.00. 2. The highest bidder acknowledged by the auctioneer will be the buyer. The auctioneer has the right to reject any bid; to advance the bidding at his discretion; and, in the event of a dispute between two bidders, determine the successful bidder or to re-offer and resell the lot in dispute. Should a dispute arise after the auction, our sale record is conclusive. 3. As a convenience to its clients, National Book auctions will accept and execute absentee and online bids in competition with other absentee bids and bidding in the room. Every effort will be made to carry out the bidder's instructions, but National Book Auctions shall in no event be responsible for failing correctly to carry out instructions, and National Book Auctions reserves the right to decline to undertake such bids. The auctioneer will endeavor to establish chronological precedence among absentee and pre-auction bids but National Book Auctions can make no guarantee to correctly establish chronological precedence. By bidding in any form (absentee, online pre-bidding, etc.) prior to the lot being offered, the bidder fully understands that the bid offered will not become part of the bidding process until the lot is offered during the live auction (at the time when floor bidders are invited to bid on the lot). Tie bids will occur between such bids and/or live floor bidding and the auctioneer reserves full discretion in deciding order of acceptance of bids. Chronology does not in any way guarantee a bidder of precedence in bid acceptance; order of bid acceptance is determined by the auctioneer at the time of live bidding. Prospective absentee bidders should consult the bid increment scale to ensure their bids conform to our printed bidding increments. 4. National Book Auctions reserves the right to withdraw any property at any time before its actual final sale, including during the bidding. Catalog descriptions are subject to amendment by oral or written notices or announcements made by National Book Auctions prior to sale. 5. Some items offered may be subject to a reserve, which is the confidential minimum price below which such lot will not be sold. 6. We have suggested high and low bid estimates for this lot, please bear in mind that these are merely statements of opinion, they are not in any way a basis for determining actual value. 7. During online bidding, National Book Auctions will not be liable for malfunctions, errors or omissions (hardware, software, electronic, human or otherwise), whether or not due to National Book Auctions' or its staff's fault or negligence, resulting in the inaccurate transmittal of bids, the failure to execute bids or any other irregularity. We sell approximately 70-100 lots per hour and as this is a live auction, we do not know the exact ending time for any lots. 8. All lots are available for inspection prior to the sale at National Book Auctions gallery in Ithaca, New York. Please note the viewing schedule. Our staff will attempt to answer questions and give advice, but the final decision to bid, and the amount to bid, is at bidder's discretion and liability. 9. We endeavor to provide as much information as we can for each lot we offer and earnestly strive to provide a fair, objective sense of the quality and condition of each item. Our listings always include one or more images of the actual item to assist bidders in their assessment process. Further, except where otherwise stated, we offer a full refund guarantee that our descriptions are free of false information. Any concerns must be brought to our attention within 14 days of the lot's shipment date. We endeavor to provide as much information as possible and describe condition issues as fairly as we are able. Where we have identified particular faults or damage to items it must be understood that reference to such faults does not imply the absence of others, nor does the lack of such a reference imply that an item is free of faults. Prospective purchasers must satisfy themselves as to the suitability of lots before buying. Written and oral descriptions are our opinions and should in no way be construed as a guarantee of any kind as to age, condition, materials or any other feature of items being sold. Many particulars will be subjective in nature and the auctioneer reserves the right to make final decisions as to whether descriptions contain erroneous information of a nature substantial enough to cause false impressions for buyers. Any time we determine that we have made a false statement in a listing, the bidder is invited to return the item for a full refund, with our apologies, except for listings where all sales are specified as final. To qualify for a refund, such false information must be clearly and indisputably incorrect, using a reasonable person standard. Subjective differences of opinion do not constitute false information. We cannot and do not claim that our descriptions are complete, as such a standard is a matter of subjective definition. Any details or criteria beyond what we have provided are the responsibility of the buyer to estimate or establish. Our staff are eager to answer any questions prior to auction and we strongly encourage all bidders to preview items in person before bidding. All items are sold as-is, where-is with no warranties or guarantees of any kind, express or implied. All items are available for examination at our gallery, prior to auction. Your bidding will signify that you have examined the items as fully as you desire, or that you have chosen not to examine them. All item descriptions are subject to change up until time of sale and the written terms in place at the time of sale of the item, shall be the only terms that are binding to the sale. IMPORTANT NOTE: All sales are final on lots for which we receive late payment (more than 10 days after the auction); all lots included on invoices for which payment is not made within ten days of the auction shall be sold as-is and are ineligible for return, regardless of any errors in the description(s). 10. Successful bidders assume full responsibility, including insurance, for items at the fall of the hammer. 11. In the unlikely event that we lose our internet connection during the auction, National Book Auctions reserves the right at its sole and absolute discretion to cancel the remainder of the auction. 12. No lot will be released to the buyer until payment in full has been made to National Book Auctions, including the buyer's premium and any applicable taxes, and the buyer has satisfied all bidder terms stated at time of bidding. 13. All transactions will be governed and interpreted by the laws of the State of New York and the Federal courts sitting in the State of New York. 14. Bidding increments do not include buyers premium, sales tax, insurance and/or shipping. 15. If we do not receive payment arrangements within ten days of the auction close, we reserve the right to bill the credit card placed on file when you registered for our auction. We endeavor to provide as much information as we can for each lot we offer and earnestly strive to provide a fair, objective sense of the quality and condition of each item. Our listings always include one or more images of the actual item to assist bidders in their assessment process. Further, except where otherwise stated, we offer a full refund guarantee that our descriptions are free of false information. Any concerns must be brought to our attention within 14 days of the lot's shipment date. We endeavor to provide as much information as possible and describe condition issues as fairly as we are able. Where we have identified particular faults or damage to items it must be understood that reference to such faults does not imply the absence of others, nor does the lack of such a reference imply that an item is free of faults. Prospective purchasers must satisfy themselves as to the suitability of lots before buying. Written and oral descriptions are our opinions and should in no way be construed as a guarantee of any kind as to age, condition, materials or any other feature of items being sold. Many particulars will be subjective in nature and the auctioneer reserves the right to make final decisions as to whether descriptions contain erroneous information of a nature substantial enough to cause false impressions for buyers. Any time we determine that we have made a false statement in a listing, the bidder is invited to return the item for a full refund, with our apologies, except for listings where all sales are specified as final. To qualify for a refund, such false information must be clearly and indisputably incorrect, using a reasonable person standard. Subjective differences of opinion do not constitute false information. We cannot and do not claim that our descriptions are complete, as such a standard is a matter of subjective definition. Any details or criteria beyond what we have provided are the responsibility of the buyer to estimate or establish. Our staff are eager to answer any questions prior to auction and we strongly encourage all bidders to preview items in person before bidding. All items are sold as-is, where-is with no warranties or guarantees of any kind, express or implied. All items are available for examination at our gallery, prior to auction. Your bidding will signify that you have examined the items as fully as you desire, or that you have chosen not to examine them. All item descriptions are subject to change up until time of sale and the written terms in place at the time of sale of the item, shall be the only terms that are binding to the sale. IMPORTANT NOTE: All sales are final on lots for which we receive late payment (more than 10 days after the auction); all lots included on invoices for which payment is not made within ten days of the auction shall be sold as-is and are ineligible for return, regardless of any errors in the description(s). We take care to pack well, and ship in a timely fashion. Buyer pays for stated shipping within the United States, international customers please contact us for a shipping quote. We offer reduced shipping for winners of multiple lots, as follows: buyer pays full shipping amount of the won lot that bears the highest shipping charge, and receives a 30% discount on the stated shipping amount for all other won lots. For example, a winner of three lots with stated shipping charges of $4.50, $6.50 and $8.00 will pay $15.70 rather than the full $19.00. All books and other media ship via USPS Media Mail. Typical delivery time within the continental U.S. is 5-10 days. If your order is time sensitive, please contact us for a Priority Mail upgrade. Insurance is available and recommended (please note that by declining insurance, you assume the risk of loss or damage in transit) on shipped packages at a flat rate of $1.00 per $100.00 of coverage for domestic shipments and $2.00 per $100.00 of coverage for all international shipments (please let us know if you are adding insurance to your total). All shipments with a total value of $200.00 or greater, as well as all packages being shipped outside the United States, will require mandatory insurance coverage and that charge will be added to the shipping amount on the invoices. Payment is due within ten days of auction close. Payments in excess of $3,000.00 must be made in secure funds (cash, cashier's check, bank transfer, etc.). Money orders, personal/business checks, bank transfers and cash are accepted for payments below $3,000.00, as may be Visa, Mastercard and Discover credit cards, which are processed directly through our gallery by calling us at 607-269-0101. We reserve the right to insist upon secure payment (certified check, money order or bank wire) for any invoice, for any reason, at our sole discretion. All bank wires for amounts less than $500.00 must also include a $20.00 processing fee to cover the bank's charge. If we do not receive payment arrangements within ten days of the auction close, we reserve the right to bill the credit card placed on file when you registered for our auction. Paypal is welcome for qualified items (PLEASE NOTE: DOMESTIC AND INTERNATIONAL LAWS AND RESTRICTIONS APPLY FOR COUNTRIES SUCH AS CUBA, ETC., RESULTING IN OUR NOT BEING ABLE TO ACCEPT PAYPAL PAYMENTS FOR SOME LOTS CONTAINING ITEMS ORIGINATING IN SUCH COUNTRIES), please use the email address mail@nationalbookauctions.com. Because of Paypal's secure payment policies, invoices which are paid via Paypal's online payment center must be shipped; orders paid by online Paypal payment cannot be picked up at our gallery. However, payment for pick-up orders can be made with a Paypal debit card, presented at time of pick-up. Checks are accepted, we reserve the right to hold shipment until check funds have cleared (time frames vary). Please mail checks or money orders to: National Book Auctions, 1429 Danby Road, Ithaca, New York 14850-6071. Note to international buyers: payments must be in the form of a money order or bank transfer in U.S. funds, or by Paypal. Checks with international routing numbers are not accepted. PLEASE NOTE: Invoices not paid within 10 days of the auction date will be subject to a late charge of 3% of the invoice total due, plus 3% of the invoice total due, per week thereafter for as long as complete invoice payment has not been received. National Book Auctions reserves the right to offer any lots for which payment is not received within ten days of the auction, to the back-up bidder or other interested parties. In the case of any lot for which payment is not received within ten days of the auction, the high bidder understands and accepts that he/she relinquishes any right of title to that lot, should National Book Auctions arrange to sell said material to another buyer. National Book Auctions making such an offer to another buyer does not release the winning bidder from the legally binding contractual obligations accepted by bidding; the winning bidder remains legally bound to complete the purchase until such time as he/she receives written notification from National Book Auctions that the material has been sold to another buyer. Winning bidder agrees to pay any difference between the original high bid and the offer accepted by National Book Auctions from a back-up bidder or other party. National Book Auctions reserves the right to re-list in a later auction, any lots for which payment is not received within ten days of the auction and in that event, the bidder agrees to pay National Book Auctions all foregone commission amounts and buyer's premiums which would have been earned had the original high bid been paid. Additionally, winning bidders who do not pay within ten days from the auction agree to compensate National Book Auctions for any and all collection and reasonable legal fees incurred by National Book Auctions in its effort to secure payment from the winning bidder, including but not limited to litigation. If payment is made after ten days have elapsed since the auction, all sales are final on the lots included on said invoice(s); lots for which payment is made but not within ten days of the auction shall be sold as-is and are ineligible for return, regardless of any errors in the description(s). All orders shipping to addresses in New York or being picked up at our gallery are subject to 8% New York State sales tax unless buyer has a current New York State Resale Certificate on file with us. A standard 20% buyer's premium will be applied to all successful bids plus the 5% online transaction fee. Thus, the final lot price for successful online bidders who bid in auctions sponsored by National Book Auctions, will be 25% of the final hammer price. By placing a bid with National Book Auctions, buyer understands that he/she is making a legally binding offer to purchase. If the bid is accepted by National Book Auctions, a legally binding contract is created at the instant of acceptance. In the event of non-payment by the bidder, according to the terms stated in this auction listing, National Book Auctions is entitled to seek compensation from buyer for all costs of re-selling this lot, any difference in price between the two sales and all legal fees incurred by National Book Auctions in securing such payments from buyer. The auction house has verified the price result.